What do YOU know about the greatest man who walked the earth? What do YOU know about the last and final Messenger of God ﷺ to mankind? Enlighten yourself on his life & mission through the reading & study of 40 Sacred Traditions on his life. Learn, Grow and Win prizes worth R50 000! The aim & objective of the National Biography of Muhammad ﷺ Competition - South Africa is to educate & inform Muslims & non-Muslims on the life & times of Prophet Muhammad ﷺ. We aim to achieve this via the study of 40 Sacred Traditions on the Biography of Prophet Muhammad ﷺ. These traditions are mostly drawn from the collection of Imam Al-Bukhari & Imam Muslim. Participants can choose to read the text with explanations OR watch the video explanations OR listen to the audio explanations. One-Way Communication Channels to receive the Study Material & updates (optional). Open to all South Africans & legal residents of all ages, faiths, and denominations. First prize restricted to those complying with Umrah visa requirements. If a province has over 5000 competition entries, a set of prizes 2-10 will apply to that province specifically while the national prizes will still remain unchanged. Winners will be announced at the Grand Finale on the 16th of February 2019 at Masjid Sabr, Pakwood Cape Town at 09:30am! Step 3. Download and read the 40 Ahadith book OR watch the 40 Ahadith videos OR listen to the 40 Ahadith audios. Step 4. Complete the online test which will be released 1st February. Deadline for questionnaire submission is 11 pm 8 Feb 2019. Step 5. Participants scoring 90% and above will be entered into the final round. This will take place via telephone. Step 6. Winners will be announced thereafter & prizes handed at the Prize Giving Ceremony. *You will receive a confirmation email within 24 hours. Do I need to memorize the Arabic text of the hadith? No, you do not need to memorize the Arabic text but need to understand the hadith well. Do I have to watch all videos or can I suffice with reading the book (pdf)? You can either READ the book or WATCH the video explanation or LISTEN to the audios. One suffices. Is the Whatsapp group a chat group? No, chatting has been disabled. It is only for announcements & distribution of the competition resources & will be closed post competition. Can I participate in the competition without registering? No, one needs to register to participate. 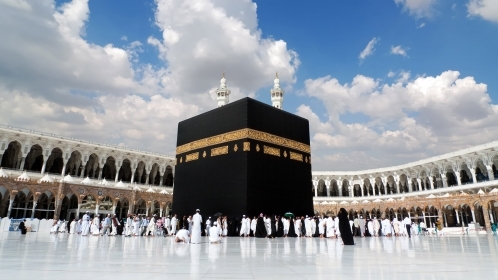 What does the Umrah package cover? Flights, accommodation & first time umrah fee. Is there any fee that must be paid by participants? Why are you hosting this competition? For the Love of Muhammad (saw) – To spread the word about His life.